“I teach from the heart and not the head,” says the 2013 N.F. Cimaglia Educator of the Year. 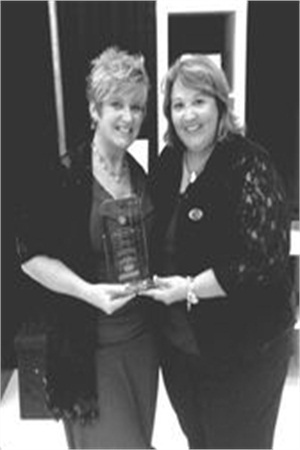 Each year, Milady, in partnership with the Career Educators Alliance (CEA), awards one inspiring instructor with the Educator of the Year award. It’s a prestigious honor given to an individual who’s exhibited the most significant contribution toward upgrading professional standards of educational excellence, particularly in the areas of student involvement. 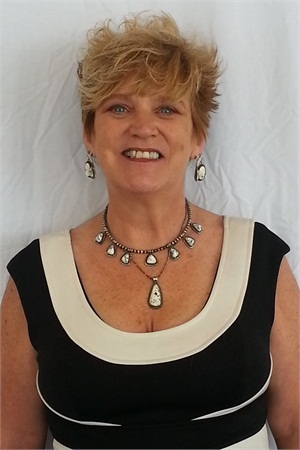 Congratulations to Kathy Emery from Kenneth Shuler School of Cosmetology in Rock Hill, S.C., for earning the 2013 N.F. Cimaglia Educator of the Year award. Emery received airfare and hotel expenses to attend the CEA Convention in Las Vegas, gets complimentary attendance at a Milady Master Educator regional event, and earned $2,500 cash. She recently spoke with NAILS’ Nail School News about how to improve the student experience and what she finds most rewarding about being a beauty school instructor. Q: In what ways have you upgraded professional standards of educational excellence? A: I teach from the heart and not the head. I want to cultivate intelligent professionals who can educate their clients. I believe many of my former clients would have been able to pass the “hair & scalp” textbook chapter. Q: How have you increased student involvement? A: I try to create an exciting class environment with games, demos, and humor — whatever it takes to make theory not feel foreign or strange and scary. I also encourage student involvement in competition, photo shoots, and fundraising activities. I reward progress and good behavior with small comforts. For example, when a student has the top client service or retail average, I have chair cushions he or she can put on their classroom chair for the week. Q: What advice do you have for other beauty school instructors on improving the student experience? We all learned this information, and we need to remember what it was like when we were students. Read and research your own textbook. You can only teach what you know. Determine your own learning style and know how to reach other learning styles. A: I don’t take myself too seriously. That is a valuable asset attempting to make a “boring” subject exciting. I get so excited about the theory class that many students over the years (between New York and South Carolina) have called me “Mrs. Frizzle” from the “Magic School Bus” television show. I spend most of my time at school in the theory classroom explaining how important this information is and why. The above-mentioned lessons can be intimidating to a creative mind that thought you spent your time in school playing with hair, nails, and makeup. I explore ways to make this information relevant and remove the fear factor. Fear can be paralyzing. A: Watching the growth in confidence, intelligence, and skill as a student makes progress. Q: Have you attended the Milady Master Educator regional event yet? A: No, the last educator event of 2013 was not long after I had returned from my trip to Vegas. I look forward to the 2014 schedule of classes. I did enjoy the Vegas CEA convention and came home with a lot of tools and information from other educators and speakers. It’s always great to brainstorm with professional peers.